Does the idea of keeping a calendar overwhelm you? 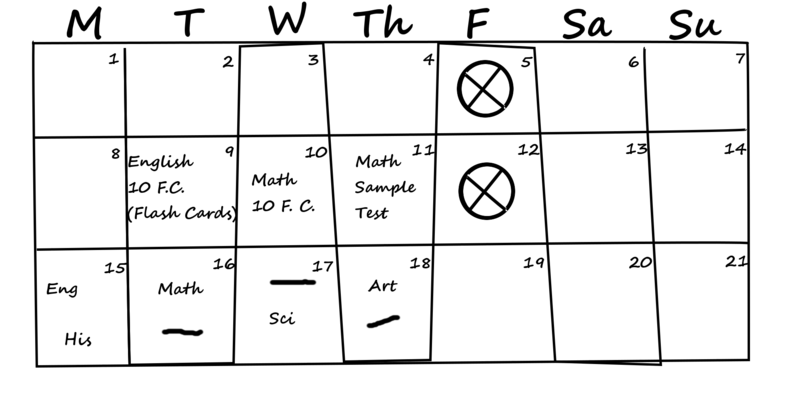 Do you, or a student you love, struggle to keep a calendar? 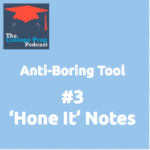 I’d like you to meet Sarah Weidman, one of my star Anti-Boring Approach™ Certified Coaches. 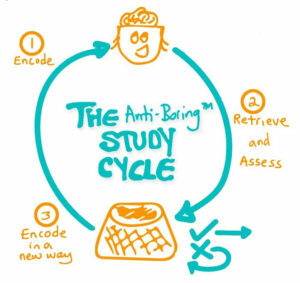 It’s August, we’re all revving up for the new school year, AND I’m excited to show off the expertise of the coaches who now use my Anti-Boring Study Cycle model in their coaching (learn it for free here!). 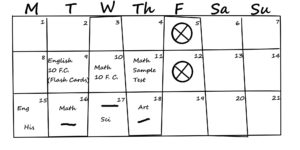 Towards the end of the last school year, Sarah had a client who told her that she didn’t like keeping a calendar. She felt overwhelmed by all of the assignments and activities listed. Sarah totally understood where her client was coming from (that’s the sign of a good coach!) and worked with this young woman’s concerns. Tune in to discover the steps they took to make calendaring less overhwhelming… and more useful. 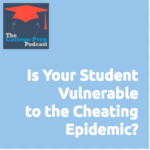 Are you in need of expert academic coaching this school year? Sarah is available and you can find out more info here. She’s an awesome academic life coach based in San Francisco but available anywhere thanks to the miracle of the internet. Do you ever make stupid mistakes on your math tests because you’re hurrying too much? I have a client who was consistently scoring a letter grade lower every test because of silly mistakes. My solution for him? 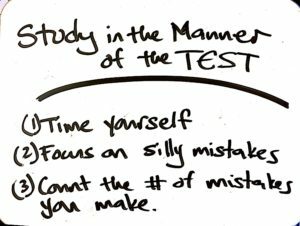 Check out the video for details about what it means to “study “in the manner of the test” and how we apply this idea to math tests to simulate the time deadline, and eradicate silly mistakes. 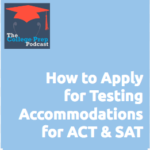 If you study in the manner of a test. Meaning, the three things listed above. First you need to set a time limit so that you can get in the practice of having a set amount of time. 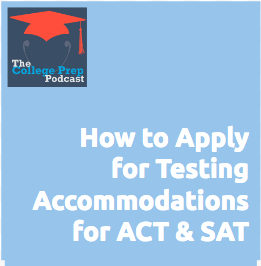 Then, you need to focus on all the things you did in past tests that caused you to get the answers wrong. After your done count your mistakes. 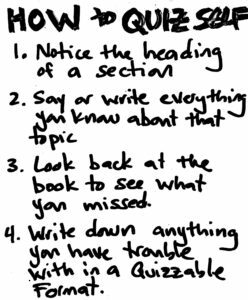 Do this a few times a week to get in some good practice for an upcoming test. If your here to get tips to help students and are thinking about growing your own business as an academic coach – Try my FREE 10 day course. 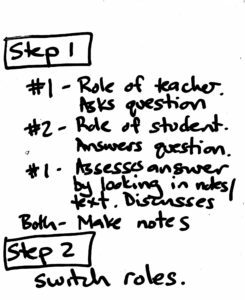 What does research teach us about the best ways for teachers to teach and students to study? Guest experts Yana Weinstein and Megan Sumeracki, otherwise known as The Learning Scientists, school us on what research shows is is the best ways to learn, including some surprising myths about what doesn’t work. 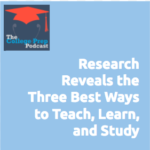 The three most effective strategies for learning, based on a research study from the NCTQ, which include retrieval, spaced practice, and dual coding. 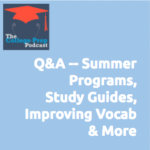 Here is the link for a cool way to use flashcards to do elaborative interrogation, which was mentioned at the end of the episode. Megan Sumeracki (formerly Megan Smith) is an assistant professor at Rhode Island College. She received her Master’s in Experimental Psychology at Washington University in St. Louis and her Ph.D. in Cognitive Psychology from Purdue University. Her area of expertise is in human learning and memory and specifically applying the science of learning in educational contexts. She also teaches a number of classes from first-year seminars and intro to psychology to upper-level learning and research methods courses. Yana Weinstein is an Assistant Professor at the University of Massachusetts, Lowell. She received her Ph.D. in Psychology from University College London and had 4 years of postdoctoral training at Washington University in St. Louis. The broad goal of her research is to help students make the most of their academic experience. Yana‘s research interests lie in improving the accuracy of memory performance, and the judgments students make about their cognitive functions. Yana tries to pose questions that have directly applied relevance, such as: How can we help students choose optimal study strategies? Why are test scores sometimes so surprising to students? And how does retrieval practice help students learn? Click here to tune in as Gretchen and Megan, with guest speakers Megan and Yana, discuss teaching and learning. 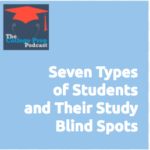 Click here to listen in as Gretchen reviews the 7 types of students and how to help them. Do You Get Bored When Studying? Try This! Do you ever get bored using the same studying technique over and over again? I have a client who, until recently, has used nothing but flashcards when preparing for all her tests. Because we’d developed a number of fun ways to use flashcards, she enjoyed this as a study technique. In her most recent session, however, she revealed that she’s finally getting bored with flashcards and wants some alternative methods for retrieving information. Watch this week’s video to see what solution we came up with for her. I’ve been working hard this year with a client, who is a freshman in high school, to understand the Study Cycle, and to fill her toolbox of study techniques. And until recently she’s really only used flash cards, and this was fine for a while because we found a variety of different ways to use the flash cards. However, she came to me this week and said, I have a history exam I need to study for, and I don’t really feel like using flash cards. The awesome thing is, that since she’s been working through the Anti-Boring Approach to Powerful Studying, she had already chosen and started using a new study technique. In this case, she was using what I call a T-Chart. And she reported that studying felt fresh and new, and she was enjoying using this new technique more than the flash cards. In this instance, the flash cards were like a screwdriver in her toolbox. Up until now, it’s worked fine to help her unscrew (dissect and learn) the materials she needed to study; however, now she needed to hammer something in (study for her history exam) and the T-Chart was just the hammer she needed. 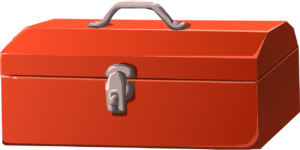 So, I recommend that you spend some time thinking of different study techniques and start building your toolbox. 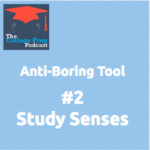 And if you don’t feel like you have enough tools, then you can always check out The Anti-Boring Approach to Powerful Studying.